For the first time Krishan participated in Kingston This Week “Reader’s Choice Awards” and was voted Kingston’s favorite Business and Kingston’s Favorite Real Estate Agent for 2017. Krishan has been the Realtor of choice for such major institutions such as Genworth Canada, CIBC, Royal Bank, Bank of Montreal, Scotia Bank, Trans Relo and Ontario Public Guardian & Trustee. He is also a Brookfield Globe Relocation Service third party service provider. He has been acknowledged by past and present clients for his extensive real estate expertise, his ability to listen to peoples' needs, identify options which meet their requirements, and then negotiate exceptional deals. Not one to rest on his achievements, Krishan continues to hone these skills through various networking and educational opportunities. He's dedicated, responsible and driven – at the top of the real estate game on the clock, around the clock. * Royal LePage ProAlliance Realty Kingston. a specific award year (December 1 – November 30). After more than 20 years in the marketing field for various financial services companies, Elana embarked on a change of direction in 2008. She moved with her family from Aurora, just outside Toronto, to Verona, just north of Kingston, and became a licensed real estate sales representative. Elana has an MBA from York University and brings her extensive business knowledge to the real estate profession. Elana received the distinguished Master Sales Award in 2011, 2014 and 2015, and a Sales Achievement Award in 2012. She joined the Krishan Nathan Team in November 2016. Elana’s clients love her enthusiasm and dedication to making sure their real estate transactions are handled smoothly from the beginning through to successful completion. Living on a lake also affords Elana a unique perspective and expertise in helping clients with country and cottage properties. Sandy, a native of Kingston, brings to his work a lifelong knowledge of the community, its neighbourhoods, resources, and activities. He has a background in sales, and is noted for ensuring that his clients have an exceptional experience and the best possible outcome. His long-term interest in all things related to real estate benefits his clients whether they are looking for their first family home or adding another investment property to their portfolio. Mya brings a wealth of customer service and client management experience to the Krishan Nathan team. Mya was born and raised in Toronto but has spent a lot of time and summers in Kingston since she was young. She graduated from Concordia University with a degree in Linguistics and Political Science. 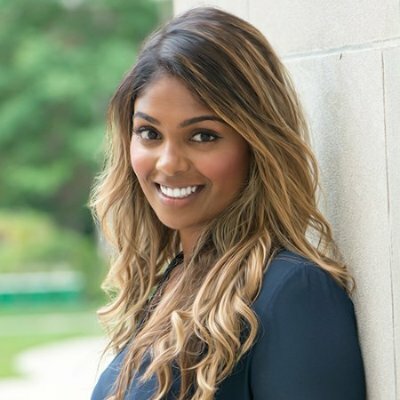 Mya most recently served as an Implementation Manager for 5 years to a large Canadian Financial Institution where she worked on a high producing team in Financial Services. She is trilingual in French and Tamil putting her in a strong position to represent a diverse clientele. Mya is committed to helping her clients find the best and most profitable properties. Whether they are looking to find their dream home, sell their current home or simply diversify their investment portfolio, she is here to help. Kerry is excited to be part of the Krishan Nathan Team! He has a strong passion for sales and customer service that was developed while working in downtown Kingston as he studied for his degree from Queen's University. Born in Philadelphia, Kerry has deep family roots in the Limestone City which eventually led him to move here permanently. He enjoys travelling and photography but most of all he has a natural aptitude for and awareness of technology. He brings a detailed-oriented approach to navigating his clients real estate transactions and is dedicated to ensuring them the best possible results.